For more than three years, the Bainimarama regime has been in effective control of the governance of Fiji, and even recognised as such by international organisations such as the International Monetary Fund (IMF), World Bank and Asian Development Band. Bainimarama says he will not hold elections until 2014, by which time he thinks the principles of his “People’s Charter” will have been fully entrenched in all processes of government. But the current media censorship not only takes away our citizens’ basic human right to freedom of expression, it totally undermines the values, commitments and pledges made in the military government’s own Charter. Since this military regime will, by 2014, have been the effective government for eight years (longer than any elected government), why does it not follow the good governance principles laid down in its own Charter- the need for every government to be open, transparent and accountable to the public, which, in the absence of a democratically elected Parliament, can only be through full media freedom. Full media freedom is even more vital for public service efficiency, given that the civil service is being gradually militarised in key positions, posing serious problems for the Public Service Commission and the use of tax-payers funds: how ensure that these military personnel behave as fully professional civil servants and not as army personnel, uncritically taking orders from their superiors? How will the military government be judged by history, if the public service and the economy fail to perform, cocooned by the media censorship? Surely, both the military government (however long it stays in power) and Fiji have everything to gain and little to lose, if the Public Emergency Decree and the media censorship are removed. For several months now, the military government has totally censored the media - television, newspapers and radio, removing any news item deemed to be critical of government, their policies and their performance. At a personal level, Fiji TV or the radio stations no longer bother to interview me for comments on economic issues; while most of my newspaper articles are censored. But this military government’s censors decided that the Fiji public will not be allowed to read this article. The irony is that while they keep repeating that their Charter will guide this country for the foreseeable future, their media censorship contradicts their Charter at every turn. Do not forget that the Charter started off (page 2) that “We the People of Fiji af firm that our Constitution represents the supreme law of our country, that it provides the framework for the conduct of government and the people”. But any protection that the 1997 Constitution may have provided against unfair media censorship, went out the window, when Bainimarama abrogated the Constitution in 2009. But the rest of the military government’s Charter is still a great supporter of our fundamental right to freedom of expression, even if the Military Censors are not. Among the values that the Charter espouses (page 4) is “respect for the diverse cultural, religious and philosophical beliefs”. The section on “Moving Forward Together” says “our nation is in urgent need of genuine, trust-based dialogue and peace building for which qualities of humility, compassion, honesty and openness to other views and interests are essential”. But some people’s views and philosophical beliefs are not respected by the military censors, and will not be allowed to be aired in public, however genuine, constructive and peace building. Then the Charter states (page 6) “our nation must have a freely and fairly elected Parliament...” and “we believe in an executive government answerable to the Parliament, an independent judiciary, and Security Forces that ... are answerable to the government and Parliament in accordance with our Constitution”. But given that Bainimarama will not give the people of Fiji an elected Parliament until 2014, only media freedom can ensure accountability to the public. The Charter states (page 7) “we believe in a strong and free civil society as vital to democracy, good and just governance....”. But for the military government refuses freedom of speech or assembly. the military government decides what knowledge the people have access to, through their censorship of the media. While the Charter says “we must use our individual and collective knowledge and skills to develop our country”, the military censors are deciding that the skills and knowledge of some individuals (anyone who disagrees with the military government) will not be made available to the public. The Charter goes on (page 8) “We reaffirm our recognition of the human rights and fundamental freedoms of all individuals and groups, safeguarded by adherence to the rule of law”. But Military Decrees, including the Public Emergency Decree which implements the media censorship, now define the law - when there is no emergency at all in the country. Pillar 1 of the Charter talks about “sustainable democracy and good and just governance”. It states (page 11) “The government must be fully accountable to the people of Fiji through Parliament and its procedures”. The Charter says that to oversee governments, there must be independent and well resourced offices of the Ombudsman, Human Rights Commission, Auditor-General, and FICAC. And “The government must publish timely public reports with adequate details so that the people of Fiji are aware of what is being done in their name and with their taxes”. But the current military government does not abide by this Pillar: it will not make public the Auditor-General’s Reports for 2007 or 2008. And it is unlikely that there will be any Auditor-General’s Report on government expenditure and revenues for 2009. The Charter’s Pillar 3 on “ensuring effective, enlightened and accountable leadership” points out that a critical problem in the past has been that “our leaders in most cases have failed to involve us in making the major decisions that affect our well-being and our daily lives”. But this criticism applies equally to our current leaders. The military government does not consult any of our people’s chosen leaders on major decisions on taxation, government expenditure, sales of government assets, control of public companies and assets through board appointments, and hiring and firing of civil servants. Even the workers’ pension fund is in the control of the current military government, without any accountability to the workers or the pensioners, or the public. While the Pillar identifies amongst the ideal qualities necessary for any future leaders of Fiji to include “openness” and “accountability”, the media censorship will not allow it. It is clear that the military government is steadily appointing military personnel to key civil service positions, perhaps in the hope that there will be increased efficiency. But this poses a major problem for the Public Service Commission. Civil servants are required to give their professional advice to their superiors, disagreeing if necessary with their superiors, a vital mechanism to protect tax-payers’ interests from wrong political decisions. But professional military personnel have been drilled all their lives to blindly obey orders coming from their superiors, without question, even if they think that the orders or decisions are wrong. So how can the PSC and Jo Serulagilagi convert these military appointees into professional civil servants? The PSC has another problem. Military personnel are trained for military duties, not complex public service. Some may be good, some may be unsuitable. How can the PSC, which has little role in the appointment of these military civil servants, remove any for non-performance? Pillar 4 of the Charter on “enhancing public sector efficiency” wants a public service which is “accountable”. But how can the public sector be accountable to the Fiji public, when the media is not allowed to publish many stories highlighting problems in the public sector? While the Charter aims (page 21) to “remove political interference in the public sector”, what the public continues to see is the military government’s frequent hiring and firing of civil servants and board members. It is well known that most civil servants and board members, for fear of losing their positions, are afraid to disagree with the decisions made by the military government. Over the last three years, some of this military government’s policy mistakes which have wasted taxpayers’ valuable funds (remember the initial school bus-fares fiasco? ), may not have occurred if civil servants’ advice had been followed from the beginning, and the public had been freely allowed to express their views through the media. With the pervasive media censorship, the public currently has little knowledge of any other bad policy decisions which might also be wasting tax-payers’ funds. But by the time the public finds out the facts, it will be too late- like the National Bank of Fiji (NBF) disaster or all our agricultural scams which have cost tax-payers hundreds of millions of dollars. It should be obvious to the public that Bainimarama is now performing like all the previous elected or unelected prime ministers we have had (Mara, Rabuka, Chaudhry, and Qarase): regularly getting in touch with people throughout the country, promising tax-payers’ funds for roads, bridges, water, disaster assistance and advocating development initiatives in general. He is also (unilaterally) tackling long-standing problems like the reform of land tenure and national identity. But if he ever stands for elections down the line (he would only be following in the footsteps of Rabuka and Qarase!) he will be judged not just on the goodies he hands out today, but also by his performance in managing the economy and taxpayers’ funds. Note that despite Rabuka’s absolute and populist rule in his first few years in power after 1987 (Fiji oldies, remember that period? ), eventually he was voted out. And just read today what indigenous Fijians themselves are writing (albeit anonymously) about Rabuka on the blog sites. 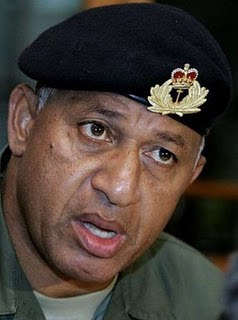 It will be in Bainimarama’s long term political interest or his personal historical record, that his military government does not waste taxpayers’ funds. For that, an important safety mechanism is accountability to the public through full media freedom, especially when there is no elected parliament which can hold government to account as is so powerfully advocated by the Charter. On pages 37 and 38 of the Charter document, there is a long list of what we, the people of Fiji agree to “Commit to”. We can agree with every single one of them- even where it says we “support the Constitution and the People’s Charter” as the foundation for building a better Fiji. 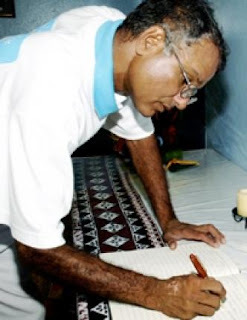 We can also agree with the Charter where it requires that “we hereby pledge, as citizens of Fiji”, to uphold and be guided by all these commitments through “our own individual conduct and conscience” while “holding responsible and accountable those who hold positions of leadership and responsibility” (i.e. including the current military government). I believe that my media contributions are fully in keeping with what the Charter requires us to commit to and pledge as responsible Fiji citizens. So why do the military censors ban my articles from the Fiji media, even the recent innocuous one on the economic implications of Fiji’s long term demographic changes? Friends tell me: “Why get distressed over this little issue. Accept that you are living under a military dictatorship. Just do your work and enjoy your life." But, a decent life, even according to this military government’s Charter, requires freedom of expression and freedom of the media. And it distresses me deeply and daily, that these basic human rights have been removed from my life, while there are other erosions of freedoms, some subtly, some openly. At my workplace, where we should expect an uncompromising defence of academic freedom, one can find oneself unreasonably excluded from politically sensitive situations, such as a university meeting with an international mediator on Fiji’s political crisis, or the university’s participation in an international meeting (where the Fiji government representatives may be present) to discuss the impact of the global financial crisis on the Pacific. A few weeks ago, an anonymous telephone caller from the army (“Jack”- no surname) warned me that somewhere (he mentioned the Fiji Golf Club) I had been overheard saying negative things against the “government of the day”. Jack told me to remember what had happened to relatives of mine who had been deported back to Australia. I said, “sorry, I am a Fiji citizen, without any PR elsewhere. And in any case, if I disagree with the government of the day, it is on policies and principles”. But Jack called again the next day and repeated the same message. It is distressing that we do not even have the freedom to speak among friends at public places, in case someone overhears and conveys some garbled version to the military intelligence who can then threaten you, for no reason at all. What does this powerful military government have to fear from elderly academics like me? And why are military personnel being encouraged by their superiors into this kind of unethical and unprofessional behavior? Once entrenched, such disregard for basic human rights will be difficult to eradicate. Who doubts today that had it not been for the successful 1987 coup by Rabuka, those of 2000 and 2006 would have been far less likely. The Fiji public placidly accepts the media censorship’s erosion of our freedom of speech- a fundamental human right. Surely this is not some “minor issue”. We forget that just as small waves can slowly erode a solid shore, grain by grain, until the mighty coconut tree falls over, so also can a good society deteriorate into misery and a climate of fear, if we fail to defend every single one of our precious basic human rights. I am happy to follow this military government’s Charter, but all of it, not just the bits that this military government chooses to follow. It is a sad indictment of all those people who formulated and supported the Charter, that they remain totally uncritical of this military government’s media censorship, which contradicts their Charter at every turn. Surely this Military Government (and the FTIB) know that investors cannot have full confidence about investing in an economy where there is pervasive media censorship? And without this investment, our economy will stagnate (as currently), leaving this military government with an uphill task of dealing with our increasing problems of unemployment and poverty, while undermining the military government’s record as an efficient manager of the economy. Surely, both this military government (however long it stays in power) and Fiji, have everything to gain and little to lose, if the Public Emergency Decree and the media censorship are removed. And there is an end to personal intimidation. 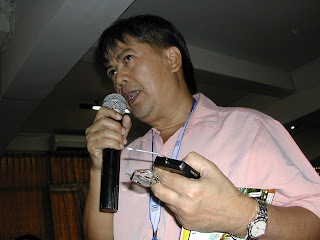 Dr Wadan Narsey is professor of economics at the University of the South Pacific and an independent media commentator. 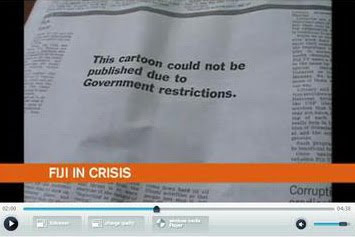 Pictures: Top: Censorship of the Fiji Times after martial law was imposed on 10 April 2009. Middle: Regime strongman Commodore Voreqe Bainimarama. Bottom: Dr Narsey. Photos: Radio Fiji. Frank: Openness; frankness; a desire for clarity. Driti: A person who abuses human rights and wants to go to the Middle East to forget about it. Leweni: An army expression about freedom of speech in the media. Example: That reporter deserves a Leweni around the ears. CCF: Usually said under the breath and sometimes with a religious tone. SDL: Hopeful; former political party. Jalal: Another word for $20; a restaurant licence. Example: “There is no such thing as a free meal in politics." Rika: An editor who gets headaches every time he reads the newspaper. Judge: An educated person who can’t. 2014: A mythical year; a golden future; peace and goodwill to all men except previous politicians. Poverty: To be poor either in understanding or wealth. Contributed by a regular Café Pacific reader. Cartoon: Malcolm Evans and Pacific Journalism Review. A RARE Café Pacific switch from media and politics to rugby: France deserve the Grand Slam accolades for Marc Lièvremont and his coaching crew’s patience in rebuilding the national team with vision and confidence after their humiliation at the hands of les Rosbifs at the 2007 World Cup. The French team has shrugged off its ‘Marcatraz’ stigma – a reference to the Marcoussis training centre outside Paris and San Francisco’s notorious ex-prison Alcatraz. This was how the centre was dubbed in the conservative coaching era of Bernard Laporte. While France's 12-10 defeat of England in the Parisian rain at the weekend was a pale imitation of the scintillating victories over Scotland, Ireland, Wales and Italy in previous matches, the Grand Slam was a deserved honour for les Bleus. Bravo! The 41-year-old's tendency to tinker was castigated but Lièvremont remained firm. By the end of the season he selected 58 names. The eventual result is a strong and competitive squad with an awesome front five and a backbone of 10 players in key positions -- front row, backrow, halfbacks, inside centre and fullback. French rugby understands its own market. It has reverted to tradition and is rediscovering the best route to present and future glories. Four of Lièvremont's players – Morgan Parra, Imanol Harinordoquy, Mathieu Bastareaud and Thierry Dusautoir – have been nominated for the Six Nations' player of the year award alongside Shane Williams of Wales and Ireland's Tommy Bowe. As French captain, Dusautoir may well get the nod in recognition of a standout performance from the whole team. Muslim scholars are countering allegations that Islamic schools are terrorist breeding grounds by arguing that the schools are key weapons in the fight against extremism. Religious Affairs Minister Suryadharma Ali said on Sunday that his ministry was seeing positive results after it had approached Islamic schools (madrasah), and Islamic boarding schools (pesantren), in order to disseminate the correct Islamic teachings. He said that unlike the terrorists in the country whose targets and enemies were unclear, Islam taught that in jihad, the target was evident. "The Muslims who died [in the terror attacks] were the innocent ones," Suryadharma said at a birthday celebration for Prophet Muhammad in Magelang, Central Java. On Thursday, Mahrus Amin, the head of the Darunnajah Islamic Boarding School, told journalists that none of the terrorists who bombed several places in Indonesia were graduates of the country's pesantren. “The kyai [Islamic clerics] know very well that none of them were pesantren alumni,” Mahrus said during a reception for about 30 journalists from throughout East Asia, who had visited the school at the end of a three-day media forum on conflict reporting in Jakarta. Mahrus said in one of his replies to questions from the journalists that the kyai believed Al Qaeda leader Osama bin Laden has generated the issue of Islamic jihad, which is carried out by terrorists who launch bomb attacks “to discredit Islam and to divide people". Suryadharma said terrorists gave Islam a bad name by claiming religious motivations for their attacks. He said terrorist networks were only a minor movement in the country and did not represent Islam. “But they managed to capture a lot of attention as if they are a big [movement] in Indonesia,” Surydharma said. Terrorism experts have said the Al-Mukmin Pesantren in Central Java founded by radical Islamic cleric Abu Bakar Bashir, the reputed former spiritual leader of terrorist organisation Jemaah Islamiyah, is a recruiting ground for JI. 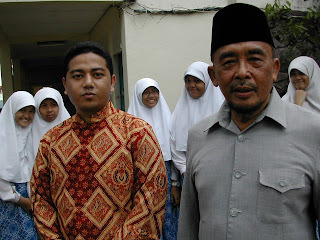 Two of its most infamous students were Ali Ghufron and his younger brother Amrozi, two of the three Bali bombers executed in November 2008. But of the estimated 14,000 pesantren in the country, fewer than 20 are considered radical or are suspected to have links to JI. 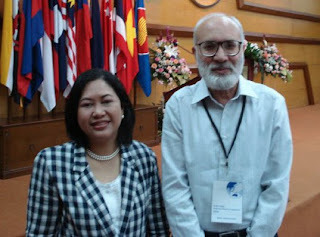 Syafii Anwar, the director of the International Center for Islam and Pluralism, previously said the reluctance of Islamic boarding schools to focus on pluralism and tolerance was a major obstacle to changing the mind-set of their students, leaving them open to radicalism and conservatism. “Anyone can become a terrorist if he or she is being indoctrinated into a certain perspective” Syafii said. Ismira Lutfia is a Jakarta Globe journalist who attended the East Asia media forum supported by the New Zealand government, European Union and Indonesian government. This story was reported with input by Antara news agency. WHAT an irony that the Jakarta media headlines were focusing on a “terrorism training camp” scare in Indonesia’s western-most Aceh province and shootouts in an outlying suburb that left fugitive Dulmatin and two other suspects dead just when a regional East Asia media forum opened with a focus on the “intersections of conflict, culture and religion”. The forum, jointly hosted by the New Zealand government, the European Union and the Indonesian government, brought together some 57 senior journalists and media educators from 16 countries to reflect on how well the region’s media is coping with complex new challenges to culture and conflict reporting. Coinciding with the three-day conference, Indonesia’s President Susilo Bambang Yudhoyono was visiting Australia and Papua New Guinea and news commentators noted how the death of Dulmatin would ease Yudhoyono’s “task to convince the Australian public and Parliament that Indonesia is a key security and economic partner”. 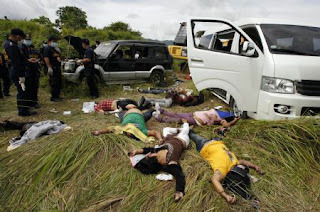 The shooting of 40-year-old Dulmatin came as a shock as the Jemaah Islamiyah bomb-maker, strategist and financier was believed to be still in hiding with the Abu Sayyaf group in the Southern Philippines. Some newspapers warned of a “resurgent and expanding military network” just as Indonesia seemed to be making spectacular headway against terrorist groups. Indonesian and Filipino journalists at the media conference speculated on how many other terrorists may have slipped across the porous border triangle bounded by Indonesia, Malaysia and Mindanao in the Philippines, unknown to security authorities in all three countries. Media also commented on the high risk public ambush that killed Dulmatin – a onetime Islamic boarding school teacher suspected of being part of the 2002 Bali bombings - in a suburban internet café but, miraculously, this did not harm any bystanders. Criticism also focused on sensational media coverage - especially by television of the drama - such as "terrorist manhunts, complete with graphic footage of dead bodies and puddles of blood sandwiched between comments from terrorism experts". A day after the conference ended, two further terrorism suspects were killed in Aceh. The conference irony was that Aceh and Maluku were both featured as examples of “post-conflict achievement” in contemporary Indonesia. Two impressive speakers from the Maluku Media Centre, Lucky Sopacua and the Antara news agency bureau chief in Ambon, Muhammad Din Kelilauw, gave moving accounts of how both Christian and Muslim media people put aside their differences and worked hard to rebuild community trust in a shattered island province torn apart by religious conflict from 1999-2002. A classic example of “peace journalism” having a strategic impact. New Zealand has been a key supporter of the Maluku Media Centre with assistance for training. Speaking on Aceh, courageous Jakarta Post reporter Nani Afrida, who had been a “frontline” journalist covering both sides of the war with the Free Aceh Movement (GAM) until the peace agreement in 2005 in the wake of the devastating tsunami, gave an insightful account of Aceh’s history of struggle and hope for the future. 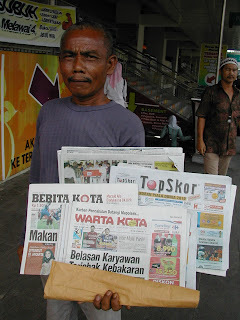 Afrida has now “retired” from frontline reporting and has taken up economics reporting at the Post’s head office. The conference opening featured a keynote speech by former Vice-President Jusuf Kalla, who has been touted as something of a regional peacemaker on the strength of his spectacular success at home with resolving several Indonesian secessionist and insurgency problems. Kalla, currently Indonesia’s Red Cross chairman, blamed “inequality” as being mainly responsible for ethnic conflicts and separatist movements in Indonesia and in other countries. His recipe for success included efforts to reduce “wealth gaps” in the process conflict resolution. In 2005, the then vice-president offered Aceh separatists a special autonomy deal, including receiving 70 percent of the share of its natural resources yield, implementation of its own Islamic law and the formation of local parties. The peace deal with GAM ended three decades of guerrilla insurgency in the impoverished province. Apart from the Aceh peace deal, Kalla also successfully brought conflicting parties in the two provinces of [Central] Sulawesi and Maluku, in 2001 and 2002 respectively, to sign peace pacts when he served as coordinating public welfare minister under president Megawati. 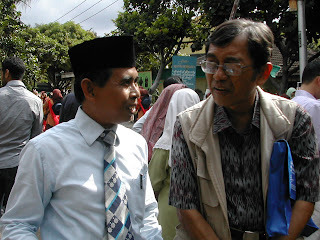 Kalla is regarded as a strong negotiator who can “effectively convince hardline insurgents to put down their guns”, the Post quoted Sanata Dharma University history professor Baskara T. Wardaya as saying. The Jakarta conflict and media conference had a strong line-up among is presenters and on the opening day, Monash University politics lecturer Waleed Aly, an Egyptian-Australian and author of People Like Us: How Arrogance is Dividing Islam and the West, gave an inspiring address on “culture, conflict and coexistence”. A panel on “media and democracy” featured India’s Mail Today deputy editor Dr Manoj Joshi; Marga Ortigas of the Manila bureau of Aljazeera; a Korea Times editor, Cho Jae-hyun; and Philippine Star executive editor Ana Marie Pamintuan. Jakarta Post chief editor Endy Bayuni chaired a panel on “Breakdown: Reporting war, terrorism, insurrection and civil unrest” with Pakistani presenters Zahid Hussain, senior editor of Newsline magazine and Rahim Ullah Yusufzai, senior analyst for the television channel Geo who is also working for BBC Radio’s Urdu, Pashto, Hindi and English services. The AUT University’s Pacific Media Centre director, Dr David Robie, chaired the “post-conflict” panel on Aceh and Maluku and Tempo Weekly editor-in-chief Bambang Harymurti headed a workshop featuring “local conflict” case stories in Indonesia and the Philippines. 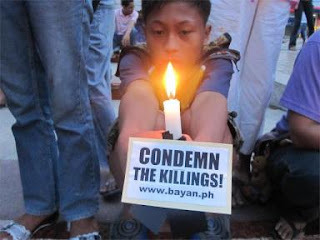 Twenty nine of the delegates signed a strong open letter to President Gloria Macapagal-Arroyo of the Philippines in the wake of the Mindanao massacre last November when 32 journalists were among 57 people killed by a local politician’s militia. "Their murder, and the death of countless other media workers in your country in recent years, will not be forgotten by us," the letter said. "We urge you, your government and the institutions of state to take the appropriate action to ensure justice is done and to create a better, safer environment for journalists in your country." A proposal for a regional journalism training programme was inconclusive, especially when Filipino journalists questioned the need for such an initiative when at least two such regional programmes based in the Philippines were well established. One of the highlights of the week came at the end of the conference when Pesantren Darunnajah Islamic Boarding School wowed delegates and presenters with an spectacular display of cultural and campus activities by the delightful students. 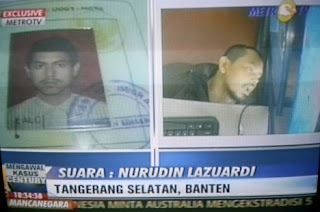 Pictures: Top: The Indonesian police turned down a $10 million reward offer for Dulmatin's capture. 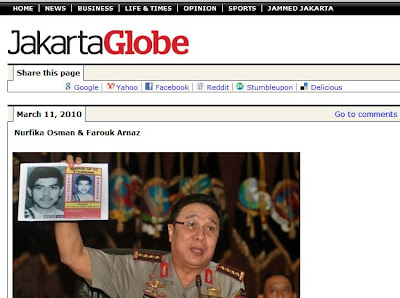 National police chief General Bambang Hendarso Danuri is pictured by the Jakarta Globe holding a wanted poster for the shot suspect. Middle Top: Metro TV coverage of the police shooting of terrorist suspects. 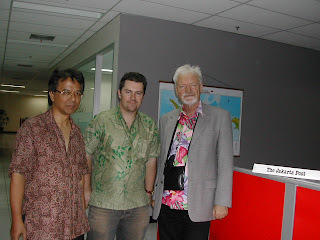 Middle Bottom: A Jakarta newspaper street hawker and Jakarta Post chief editor Endy Bayuni (left) with the New Zealand Herald's Edward Gay and Pacific Media Centre's Dr David Robie. 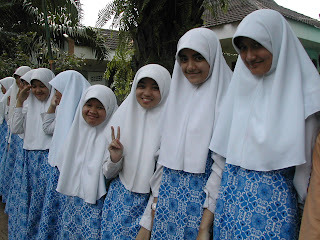 Above: Students at Pesantren Darunnajah welcome media conference delegates. SO THE Samoan government has jumped the gun on the Television New Zealand “gangsta paradise” affair. In its eagerness to win a political point or two over the state-owned broadcaster (which incidentally has just supplied a "Pacific TV" gift of broadcast equipment to Samoa) in its long-standing controversial complaint about TVNZ accuracy, fairness and ethics, the government has itself breached the broadcast industry's watchdog embargo. This is a violation of an important part of the adjudication process, which enables both parties to prepare their response to the orders and to consider an appeal. In fact, Café Pacific wonders what part of the "NOT FOR PUBLICATION" label stamped on each page of the draft ruling, the Samoan government officials did not understand. If it was a court, this would be contempt. According to TVNZ’s corporate affairs manager Megan Richards, an appeal could well be on the cards. She told Pacific Media Watch that TVNZ had complained to the Broadcasting Standards Authority about the embargo breach. TVNZ had expected the adjudication to be released on March 29. Richards said TVNZ was "considering an appeal in this case, which has a number of very unusual aspects. 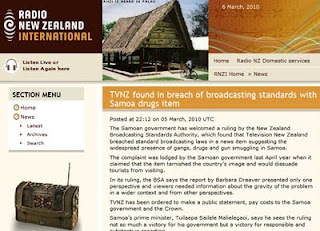 TVNZ stands by the substance of the story and the integrity and professionalism of the journalist concerned" – respected Pacific correspondent Barb ara Dreaver. The BSA ruled against TVNZ on accuracy and balance grounds in its 25-page adjudication against the news item broadcast on ONE News on April 6 last year and also run on Tagata Pasifika . It has reportedly ordered TVNZ to make a public apology, awarded costs of $5000 to be paid to the Samoan government and $2000 to the Crown. But two other complaints over fairness and the impact on law and order were not upheld by the BSA. Unsurprisingly, TVNZ is spitting tacks over the adjudication. This ruling signals a growing trend for Pacific governments to use the BSA as a means of waving a big stick against stroppy and independent journalists. Fairfax’s Michael Field faced a similar caning from the BSA following a complaint by the Fiji regime's solicitor-general in September 2008. Pacific governments 2 - Regional journalists 0. 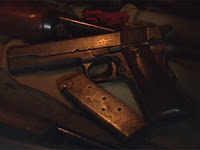 The Samoan government has welcomed a ruling by the New Zealand Broadcasting Standards Authority, which found that Television New Zealand breached standard broadcasting laws in a news item suggesting the widespread presence of gangs, drugs and gun smuggling in Samoa. The complaint was lodged by the Samoan government last April year when it claimed that the item tarnished the country’s image and would dissuade tourists from visiting. In its ruling, the BSA says the report by Barbara Dreaver presented only one perspective and viewers needed information about the gravity of the problem in a wider context and from other perspectives. TVNZ has been ordered to make a public statement, pay costs to the Samoa government and the Crown. Samoa’s prime minister, Tuilaepa Sailele Malielegaoi, says he sees the ruling not so much a victory for his government but a victory for responsible and substantive reporting. reporters and editors alike bent on producing and publishing half-cooked, sensationalised stories with the sole aim of stirring up controversy. The ruling by the BSA is an onus for broadcasters and publishers to produce fair, balanced, in-depth and accurate news items. There are also some very important lessons there for our local editors and budding journalists in how they do their jobs. The ruling wasn’t to be found on either BSA online or the Samoan government press releases website. No doubt there will be plenty of clucking in Samoan media circles, but it doesn’t stem the concerns that many of the region's journalists have about the dreadful threats or vindictive witch hunt faced by Dreaver or the hysterically partisan reporting of the issue in some sections of the Samoan press. It would be unfortunate if the BSA has not balanced its ruling with some stern criticism of the culprits in the Samoan media. Of course, none of these stories below would have much to do with Samoan “gangs, drugs and guns”, would they? IN HIS summing up in the controversial Fiji assassination conspiracy case, High Court judge Justice Paul Madigan put the blame on a ninth man who wasn't in the dock - New Zealand businessman Ballu Khan. Eight other co-conspirators in the alleged plot to assassinate the regime leader, Commodore Voreqe Bainimarama, were jailed for sentences ranging between three and seven years. But the judge said he was convinced the plot had been orchestrated by Khan, in collaboration with the eight accused. The New Zealand government has since denied any knowledge of the plot, saying it had merely provided consular assistance to Khan. Takiveikata and former Pacific Connex employee Sivaniolo Naulago were both jailed for seven years while former Fiji Intelligence Services director Metuisela Mua was jailed for three and a half years. Former Counter Revolutionary Warfare soldier Barbado Mills was jailed for six years and six months while CRW fellowman Feoko Gadekibau was given a prison term of five and half years. Other former CRW men Eparama Waqatakirewa and Pauliasi Namulo were jailed for three years each while fifth CRW figure Kaminieli Vosavere was jailed for four years. Justice Madigan walked into a packed court room, filled with different nationalities. Members of the media were allowed in first. The defendants, found guilty earlier this week by a five-member team of assessors, looked relaxed as they awaited the judge’s decision. They faced a maximum prison term of 14 years for the offence. Pictured: The accused chief, Ratu Inoke Takiveikata. Photo: Fijilive. 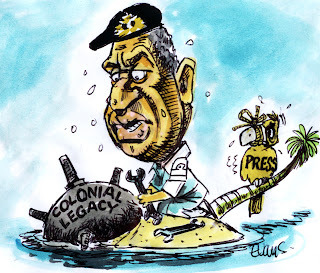 IN A couple of months, it will be a decade since the University of the South Pacific student journalism students staged their own internet coup with award-winning coverage of the George Speight “attempted” coup in Fiji on 19 May 2000. While renegade businessman Speight and his journalist offsider, Jo Nata, were eventually scapegoated into prison for treason, the politically acceptable face of the Speight coup, Laisenia Qarase, consolidated his power from caretaker leader to elected prime minister – twice. But, as we know, Qarase was no paragon of democracy and was subsequently ousted by a coup by the military’s Commodore Voreqe Baimimarama in December 2006. Many of the group of students who covered the Speight coup for Pacific Journalism Online and Wansolwara and won a string of awards from the Journalism Education Association in Mooloolaba, Queensland, that year have gone on to bigger and better things. Wansolwara editor Reggie Dutt, for example, is now at Bond University doing a masters degree. But the heady moments of that coup coverage will never be forgotten. The students' story was told in a short video, Frontline Reporters, which has now been posted on the Pacific Media Centre’s YouTube channel for posterity. The university unilaterally closed the student journalists' website and tried to gag the newspaper (actions later condemned by the faculty board of the School of Humanities) but the students continued filing their stories to the University of Technology, Sydney, which set up a special coup website. 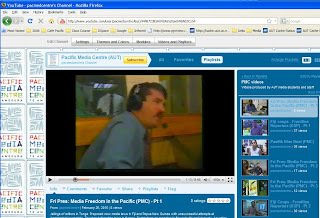 An earlier video (1999), Pasifik Niusbeat, tells the story of the early stages of online newsreporting and Radio Pacific at USP. You’ll recognise many young media faces familiar around the region today. Another video, Fri Pres, covers the fight for media freedom across the region in 1996. Produced and presented by David Robie, and reported by Stevenson Liu and Priscilla Raepom, it was broadcast by EMTV in Papua New Guinea and Fiji Television. The astonishing thing about this University of Papua New Guinea programme is that while it was made 16 years ago, it could just as easily have been talking about post-coup Fiji censorship and the rest of the Pacific today. Pictured, a clip from Fri Pres with then PNG Forestry Minister Tim Nelville talking about a death threat on talkback radio.